Titan column clamps are assembled with 4 no. bolted corners and 4 no. hinged for ease of striking on a typical 3.0m high column. ‘L’ shaped column shutters are then crane handled and refixed by only 4 no. tie bars. 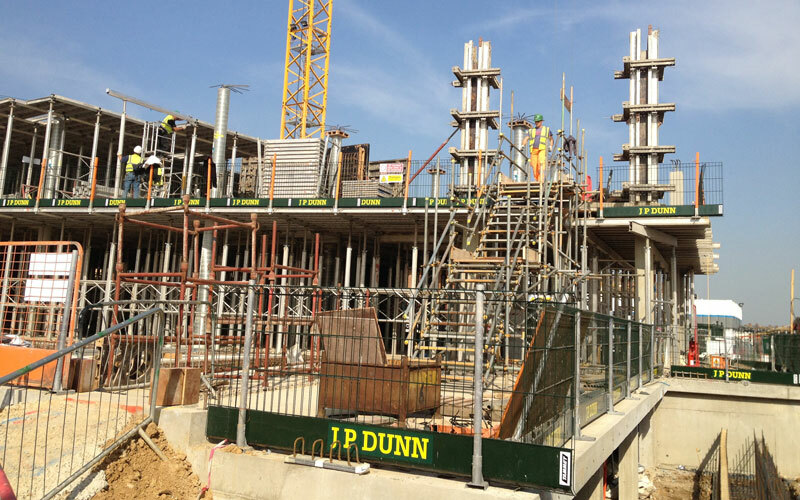 The individual column arms of 1.0m and 1.37m can be used in isolation as formwork soldiers on stop-end and foundation shutters. Large supporting length. i.e. for 5.4m column height only 4 column clamps required. Labour costs reduced for each transfer & re-fixing. Designated for maximum concrete pressures. Universal clamp for all column dimensions. No sanding of edges required. 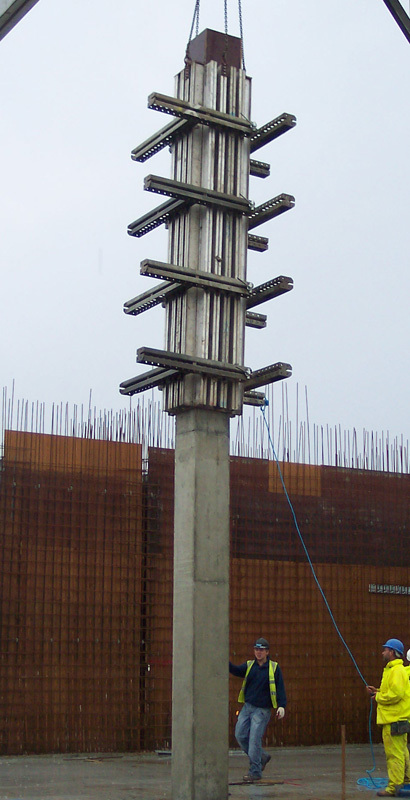 Available as a complete column formwork system incl. clamps, plumbing props, concreting chutes, working platforms and lifting hooks.